When the Showroom Settings panel appears, switch to the Orders tab at the top. The address and phone number you want buyers to see on your order form. Changing the contact info will only apply to future orders unless you choose otherwise. Every order will have a 1-3 character prefix that you can set here. The default is "BB" and appears in the Order Number (e.g. BB.1). If the prefix is changed, you will have the option of resetting the order number or continuing from the last count. Set a minimum monetary amount for all orders, e.g. $1000. If "Required" is unchecked, the Minimum will display but will not be enforced. To set a different minimum for a specific Presentation, you can do so in each Presentation's Settings. See Set an Order Minimum for a specific Presentation for more info. Custom text field that allows you to include the conditions under which you will complete the sale, refund policies, shipping policies, etc. This box will appear at the bottom of an order. See Terms of Sale for more info. Add and remove which payment terms are available to buyers (e.g. Credit Card, COD, Net 30). 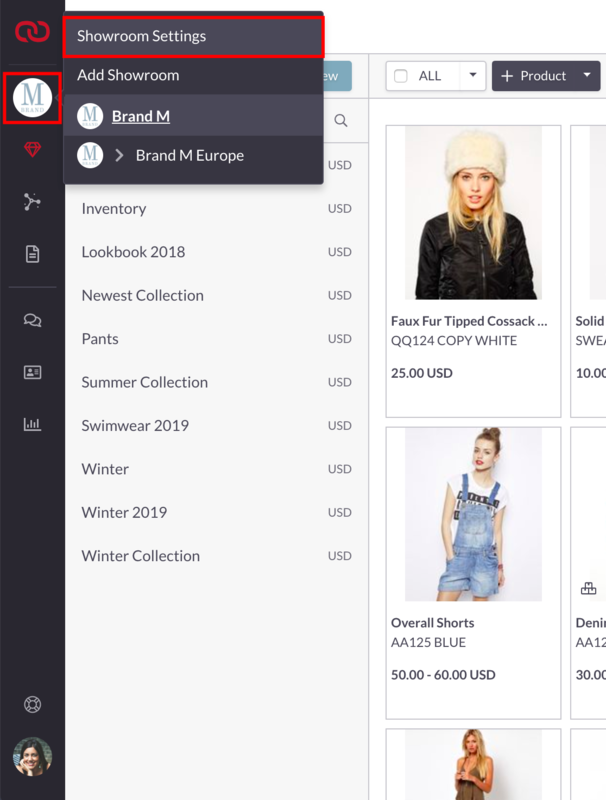 These options will appear in a dropdown menu which the buyer must select. Add up to 3 custom fields. Choose also if you wish buyers to edit them. Can be used to take Credit Card information. Any styles or options of a style that are not ordered will be hidden on the Order Form. Orders coming in with buyer information matching existing customers will have the customer applied automatically. Contact customer service to enable this feature for your account. 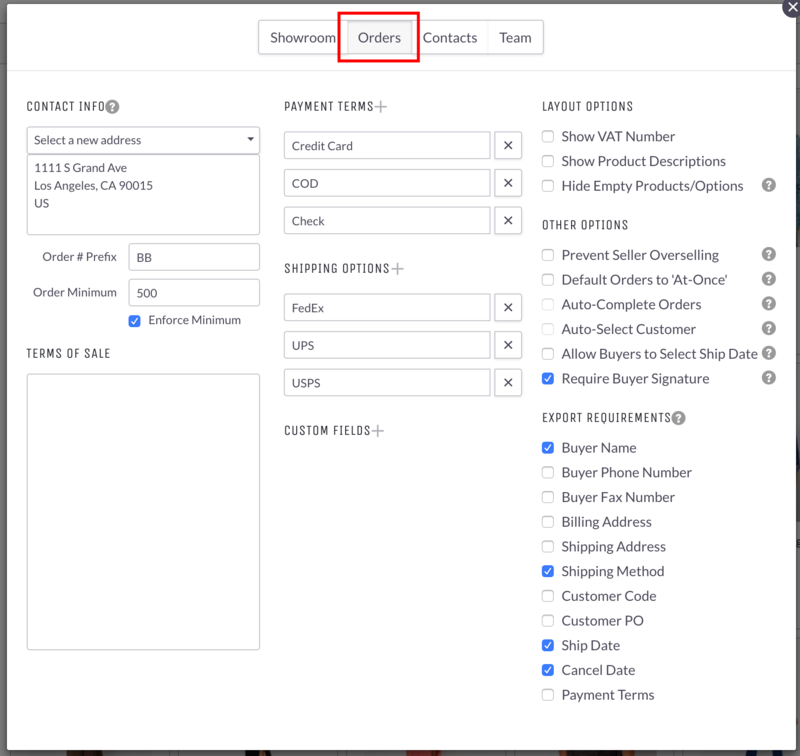 Allow buyers to set their own Ship Date on the Order Form. Require the buyer to sign their signature digitally before being able to place the order. Choose what information is required before an order can be set to EXPORT. See Export Requirements for more information.